Dwayne McDuffie Award for Diversity to be Given at Long Beach Comic Expo! The winner will be announced at the first ever Dwayne McDuffie Award for Diversity ceremony event to be held later this month at Long Beach Comic Expo on Saturday February 28 at 2 PM PT. 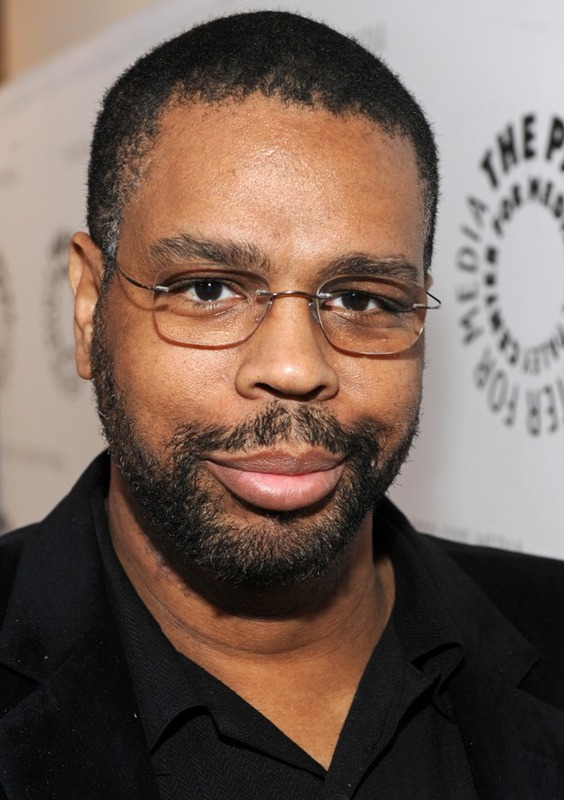 The Award is named in honor of Dwayne McDuffie, the legendary writer and producer who co-founded and created Milestone Media. As a writer, Dwayne created or co-created more than a dozen series, including DAMAGE CONTROL, DEATHLOK II, ICON, STATIC, XOMBI, THE ROAD TO HELL and HARDWARE. “I am so proud that my husband’s personal mission to include a more diverse array of voices–both in content and creators–is able to continue now through this Award in his name, by encouraging others who share his vision of comics, characters, and the industry itself better mirroring society,” said Charlotte McDuffie. Len Wein – Co-creator Swamp Thing, Wolverine, New X-Men; Former Editor-in-Chief- of Marvel Comics and Senior Editor, DC Comics. Reginald Hudlin, an innovator of the modern black film movement (House Party, Boomerang and BeBe’s Kids), will be the Keynote Speaker at the Dwayne McDuffie Award for Diversity Award ceremony later this month. Tickets for Long Beach Comic Expo are available now at www.longbeachcomicexpo.com. Follow Long Beach Comic Expo on Facebook and Twitter for the latest news and information about the McDuffie Award. Kelly Sue Milano was introduced to comics the way most five-year-old girls are: by getting taken to the Fullerton AMC Theaters to see Batman with her Dad in the summer of 1989. Though she wasn’t stoked at first, what followed was total and complete love. Not just with superheroes and comics – but with stories. She has been published in the Orange County Register, has written award-winning short stories, monologues, and comedy sketches, and has contributed to the development of several film projects for Periscope Entertainment. She also curates the blog for A.WAKE; a movement dedicated to celebrating female artists. Kelly Sue is a sucker for Nabakov and fancy coffee and currently lives in Los Angeles with her dog, Louie. Lisa K. Weber makes art for comics, kid’s books, and cartoons. She also enjoys satire, white wine, and classic rock hits. She has created artwork for comic adaptations of Edgar Allan Poe’s Hop-Frog, Oscar Wilde’s The Picture of Dorian Gray, Sheridan Le Fanu’s Carmilla, and Saki’s Tobermory, all featured in Graphic Classics. Her illustrations have appeared in publications from Penguin Books, Houghton-Mifflin Harcourt, Scholastic Inc, and Capstone Press. She has also contributed character designs and storyboards for Nickelodeon, Curious Pictures, and PBS Kids. Lisa currently lives and works in Los Angeles, California. Nilah Magruder is a storyboard and concept artist artist in Los Angeles. Born and raised in Maryland, from a young age she developed an eternal love for three things: nature, books, and animation. Naturally, all of her school notebooks were full of doodles of animals and cartoon characters. Nilah received a B.A. in communication arts from Hood College and B.F.A. in computer animation from Ringling College of Art and Design. She has illustrated for comics, children’s books, film and commercial television. Interested in exploring diversity in storytelling, she launched the action-adventure webcomic M.F.K. She believes that everyone should have characters with whom they can relate in their chosen entertainment, be it comic book, novel, film, TV, or video game. G. Willow Wilson is a novelist and comic book writer based in Seattle. Her works include the novel Alif the Unseen, a New York Times Notable Book and winner of the 2013 World Fantasy Award for Best Novel. She is the creator, with artist Adrian Alphona, of the bestselling All-New Ms. Marvel series from Marvel Comics. Her series Air (DC/Vertigo) and Mystic: The Tenth Apprentice (Marvel) were both nominated for Eisner Awards. In what spare time she has, Willow enjoys playing MMOs, watching British television, cooking, and maintaining the proud tradition of the Oxford comma. She lives with her husband and their two children. Adrian Alphona is the artist of MS. MARVEL. He illustrated an acclaimed run of RUNAWAYS written by Brian K Vaughan for Marvel Entertainment. Gene Luen Yang’s 2006 book American Born Chinese was the first graphic novel to be nominated for a National Book Award and the first to win the American Library Association’s Michael L. Printz Award. His 2013 two-volume graphic novel Boxers & Saints was also nominated for a National Book Award and won the L.A. Times Book Prize. Gene currently lives in the San Francisco Bay Area with his wife and children. Sonny Liew is a comic artist, painter and illustrator whose work includes titles for DC Vertigo, Marvel Comics and First Second Books. He has received Eisner nominations for his art on Wonderland (Disney), as well as for spearheading Liquid City (Image Comics), a multi-volume comics anthology featuring creators from Southeast Asia. His Malinky Robot series was a Xeric grant recipient and winner of the Best Science Fiction Comic Album Award at the Utopiales SF Festival in Nantes (2009). His latest work is The Art of Charlie Chan Hock Chye, which will be published by Pantheon Books in 2016. David F. Walker is an award-winning journalist, filmmaker, and author of the YA series The Adventures of Darius Logan. His publication BadAzz MoFo became internationally known as the indispensable resource guide to black films of the 1970s. His work in comics includes the series Shaft (Dynamite Entertainment), Doc Savage (Dynamite Entertainment), Number 13 (Dark Horse Comics), The Army of Dr. Moreau (IDW/Monkeybrain Comics), and The Supernals Experiment (Canon Comics). Bilquis Evely is a 24-year-old Brazilian comic book artist. She started her professional life in 2010 as the penceiller of the Brazilian comic book, Luluzinha Teen e Sua Turma” Her recent work includes The Shadow and Doc Savage for Dynamite. She is currently working on Shaft, which is written by David F. Walker. 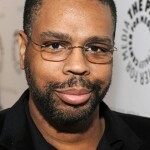 Dwayne McDuffie is best known as the co-founder and creator of Milestone Media. He was a Story Editor on the KIDS WB’s Emmy Award-winning animated series STATIC SHOCK, which he co-created. He was also a Producer and Story Editor on Cartoon Network’s JUSTICE LEAGUE. He was Editor-In-Chief of Milestone Media’s award-winning line of comic books, managing an editorial operation which boasted the best on-time delivery record in the industry for nearly four years running and has also worked as an editor for Marvel Comics and Harvey Entertainment. As a writer, Dwayne created or co-created more than a dozen series, including DAMAGE CONTROL, DEATHLOK II, ICON, STATIC, XOMBI, THE ROAD TO HELL and HARDWARE. He wrote stories for dozens of other comics, including, SPIDER-MAN, BATMAN: LEGENDS OF THE DARK KNIGHT, THE TICK, CAPTAIN MARVEL, AVENGERS SPOTLIGHT, BACK TO THE FUTURE, HELLRAISER, ULTRAMAN, (The Artist Formerly Known As) PRINCE and X-O MANOWAR. Dwayne was born and raised in Detroit, Michigan and attended The Roeper School. Before entering comics, he studied in undergraduate and graduate programs at The University of Michigan, then attended film school at New York University’s Tisch School of the Arts. He also co-hosted a radio comedy program, while moonlighting pseudonymously as a freelance writer for stand-up comedians and late-night television comedy programs. He wrote scripts for an animated feature, episodes of BEN 10: ALIEN FORCE, STATIC SHOCK!, JUSTICE LEAGUE, WHAT’S NEW, SCOOBY-DOO? and TEEN TITANS. Long Beach Comic Expo is an annual event held at the Long Beach Convention Center that celebrates comic books and pop culture and showcases the exceptional works of talented writers, artists, illustrators and creators of all types of pop culture. At Long Beach Comic Expo, you’ll find exhibitors promoting and selling all types of related products, as well as entertaining and educational programs for all ages, guest signings and meet & greet sessions with celebrities. Long Beach Comic Expo is a MAD Event Management, LLC production. To learn more and purchase tickets, please visit www.longbeachcomicexpo.com.